Locking in time is an incredibly important part of performing music. 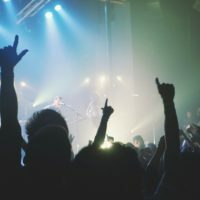 Playing to a click through in ear monitors is a great option, but it can feel very intrusive in certain musical situations. Enter the Soundbrenner Pulse! Is it important for musicians to use metronomes? In my opinion, absolutely, they can seriously improve your ability as a musician. Check out this article for more opinions and information on using metronomes. This wearable gadget might change the way you play and feel the music. This a wearable smart metronome that helps you keep the rhythm through strong vibrations. 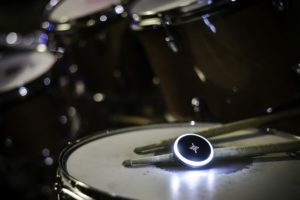 The smart metronome gadget was designed for musicians of any skill level, from beginners who want to improve their skills to those who already play professionally. The Soundbrenner Pulse makes practicing the rhythm while playing any instrument much easier, thanks to its sleek design and the strong vibrations. Imagine playing your instrument and feeling the rhythm instead of hearing it! That is the exact experience you will have when using the Soundbrenner Pulse smart metronome gadget! This intelligent metronome has advanced features that can significantly enhance your playing experience. For starters, you can wear this metronome anywhere you want. It comes with two different bands, which means you can place it on different locations while you’re playing. Alternatively, you can also purchase a separate body strap for even more options on placements. Alternative soundbrenner pulse placement using a separate body strap. Depending on the instrument you’re playing, you may want to change the location of the gadget. Thanks to the two different bands, you can adjust its size according to your needs. Switching the bands is quite simple and each of them will ensure comfort and stability while wearing the metronome. The metronome itself is very easy to use. It helps you keep track of the rhythm by sending out accurate pulses in form of strong vibrations. The vibrations of the Soundbrenner Pulse are seven times stronger than regular smartphone vibrations. Another difference between regular phone vibrations and the Soundbrenner Pulse ones is the fact that the metronome’s vibrations make absolutely no sound. You no longer have to listen to clicking sounds when following the rhythm. With the Soundbrenner Pulse metronome, you will feel the rhythm instead of listening to it. 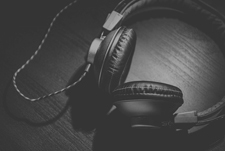 This will improve your focus and allow you to concentrate on the music and play more effectively. Is it really important to play to a metronome? In my opinion, absolutely, it’s extremely important to improve your musical ability. Check out this article for more opinions. Using this device, strong vibrations are easily felt against the skin, as the pulse is much stronger than regular phone vibrations. 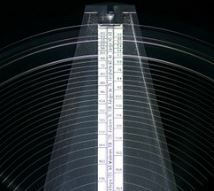 You can set the tempo of the vibrations according to your liking by twisting the wheel on the metronome. Triple tapping the metronome will also allow you to adjust the tempo of the pulse. The advanced customizability of the device will guarantee you a better performance when playing the instrument! To make this smart metronome device even more effective, you can combine it with its smartphone app. The Metronome App by Soundbrenner is available for both iOS and Android devices. The Metronome application will allow you to create your own rhythms and save them into set lists. Each list can be organized and customized according to your liking. Besides creating custom vibrations, the app will also let you choose different LED colors. Speaking of which, the Soundbrenner Pulse smart metronome doesn’t create any audio along with the vibrations but it does light up with each pulse. You can customize the color of the LED light on The Metronome App, as well as completely turn off the light feature. 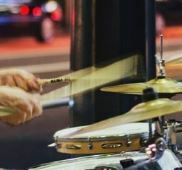 Some musicians prefer to keep the LED lights pulsating while using the metronome while others find it more effective without the light feature. Either way, this completely depends on your personal preference of using the device. The strong pulsations will keep you playing with great precision, no matter what instrument you’re on. 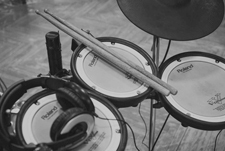 However, besides helping a single player track the rhythm, the Soundbrenner Pulse is a perfect solution for bands. The device features multi-player synchronization, which allows you to connect up to five Soundbrenner Pulse gadgets together. The metronomes can be connected via the smartphone app. Once you connect multiple devices to one smartphone, you can control each of them through the app to ensure complete synchronization between multiple players. Bands are especially satisfied with the Soundbrenner Pulse, as it helps them stay synchronized and play with solid precision. Note – requires a separate body strap to be worn as directed in this picture. 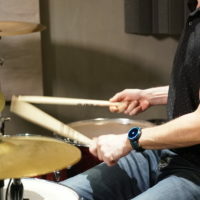 While connected, each Soundbrenner Pulse gadget will send out synchronized vibrations to keep the band playing precisely. Each player can adjust the LED color of their device or fully turn off the blinking feature. We recommend using the metronome with the smartphone app in order to be able to customize your library of rhythms, set custom accents and organize and adjust your beats. It is also important to mention that even though the metronome itself doesn’t make any sounds along with the vibrations, the rhythm audio is present in the app. However, the audible rhythm on the app can be adjusted easily by using the volume buttons. In terms of the more technical info, the Soundbrenner Pulse metronome features great connectivity and supports all major DAWs via MIDI. The BMP range of the device goes from 20 to 400 BPM. Furthermore, the wheel on the metronome that allows you to adjust the tempo can be locked to prevent accidental changes. 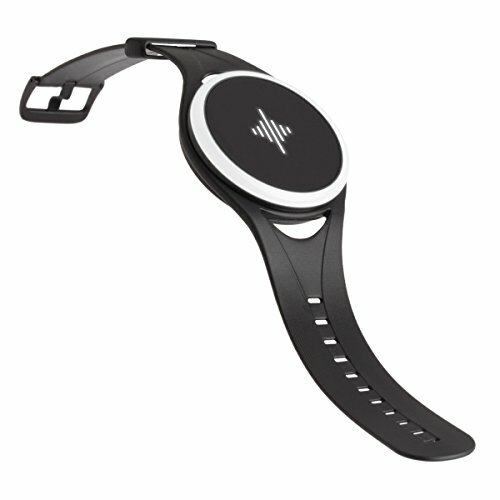 As the world’s first smart vibrating metronome, the Soundbrenner Pulse is an innovative and unique device. It features a very customizable and advanced metronome application that will improve your skills and help you play more precisely. The device features comfortable and changeable wrist bands and a sleek, modern design. 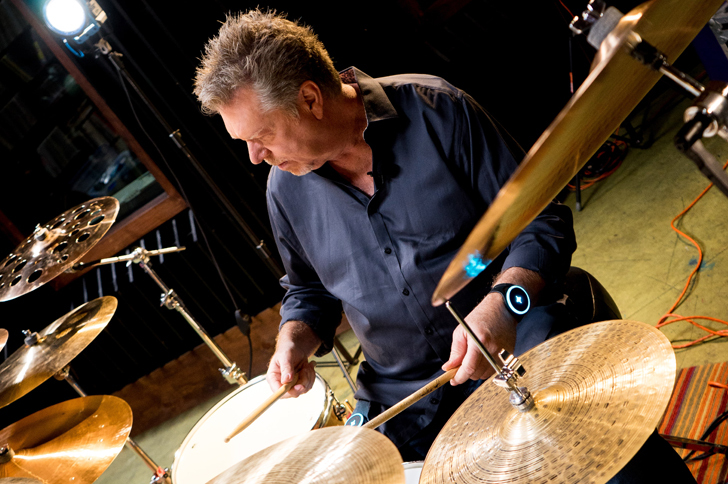 The wheel on the device is an easily accessible solution for quick changes of the tempo and rhythm settings. Musicians across the world who have tried out the Soundbrenner Pulse metronome are more than satisfied with its efficiency. Besides the comfortable design, what made them stick to this metronome is the new sensation of feeling the rhythm instead of listening to it. Everything on the device is customizable, from tempo to LED lighting. You can even switch between two different wrist bands in case you need to place the metronome on a different spot. 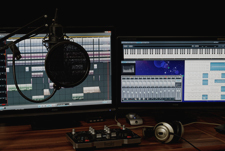 If you use the metronome along with the application, you will discover a lot of new features, such as keeping a rhythm library, adjusting and organizing your beats, as well as choosing subdivisions and changing time signatures. 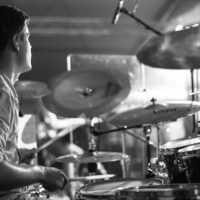 On top of it all, even bands can benefit from this advanced metronome, as they can use several of these gadgets to keep the band members playing in sync. You can connect five Soundbrenner Pulse metronomes using the smartphone application and control them at the same time through one phone. Altogether, the Soundbrenner Pulse is definitely worth the price. It is a convenient and compact solution for rhythm tracking, something new and unique on the market! If you’re looking for more advanced gadgets to improve your playing skills, this smart metronome is the perfect choice for you!